“Spiritual Virus”, just what is that? Before we explain allow me to tell how this term came recently. Here we see that the Lord will “come in” to us if we hear His voice and open the door. And an important part of this process is that we will “sup” with Him. This is a fascinating description of communicating with Him. Hopefully we can do a post soon on this subject alone, as it is very important. To simplify “sup” is indicative of communicating with our Lord, and as such we hear Him speaking to us. As I often do each week, I drive several miles in my truck. For decades I would be playing the pop music or CD’s. Basically drowning out any possibility of hearing anything except that worldly music. But since my conversion, I no longer listen to that music and as such have my ears ‘wide open” to hear His voice. I explain all this to show how this word “Spiritual Virus” came. It came as I was “supping” with the Lord. It just came into me. So that being said, I kept hearing that as days went by. So I knew that this was a topic the Lord wanted me to discuss.So let us look at this subject and how we must be on guard and take precautions not to develop this most serious plague. Just as there exists many physical viruses, so too, there are many spiritual viruses. And as the physical ones lodge within us and are sometimes hard to eradicate, same with the spiritual. While there are certainly many “strains” or symptoms of spiritual viruses such as habitual sinning, they can begin the same way. His Inspired word shows us how they develop. Let us look at how they can develop. Any true Christian must first “know” the Lord, yes? And if we are to know Him, we see clearly that keeping His Commandments are the key. So the very first steps in our walk is to repent and then to “walk” in His Commandments. Therefore, the ones who are susceptible to a spiritual virus are the ones who really don’t know Christ. They may talk of Him and profess to know Him yet we know they are lying if they do not keep His Commandments. It’s similar to someone walking around with a bull’s-eye target on their back. The Satanic forces can see it in the spiritual realm and zero in on them. So our first area of defense from the viruses, is to know and keep His Commandments. Sadly, as I have continued to walk along the path of the Lord’s leading, I have found that even those who proclaim the Elijah message (the Lord’s highest light) are no exception to these terrible viruses. What does that tell us? It can only mean that Satan and his workers have tricked them into being careless in their walk. In other words, a deception has crept in and that is that they are the Lord’s messengers and thus they don’t need to be careful daily in walking in His Commandments. One of the most important areas to check in regards to our faithfulness in keeping His Commandments, is to investigate our Sabbath keeping. We often should check up on ourselves in this area. 1) How is our appearance on the Sabbath day? Do we dress our “best”? Are we well-groomed and bring the Lord honor by going into His house a good representative of Him? 2) Are we abstaining from the numerous temptations that Satan brings on the Sabbath? Buying and selling? Worldly pleasures such as TV and music? Discussing business? Let us expand on this point. If we have a wife or husband, or children, and they often do things that are not right in the Lord’s sight on the Sabbath, how do we respond? Do we wink at it or even participate in it? Suppose we are on the way to the church service on the Sabbath and our wife says. “oh honey I just remembered I promised to bring a salad to the lunch today. Could we stop by the grocery store on the way to church and buy the salad? What is the husband to do? Be like Eli and wink at this and go along with this willful breaking of the Sabbath? Or does he protect the wife and himself from falling for this devil trick , thereby saving themselves from trampling His holy Sabbath? Just so we know the Lord’s will in this regard, let us read His instruction, “In those days I saw in Judah some who were treading wine presses on the Sabbath, and bringing in sacks of grain and loading them on donkeys, as well as wine, grapes, figs and all kinds of loads, and they brought them into Jerusalem on the Sabbath day. So I admonished them on the day they sold food. Also men of Tyre were living there who imported fish and all kinds of merchandise, and sold them to the sons of Judah on the Sabbath, even in Jerusalem. Then I reprimanded the nobles of Judah and said to them, “What is this evil thing you are doing, by profaning the Sabbath day? What a beautiful story of true respect and admonishment from the prophet! He cared enough for the Lord’s honor to make known the error of the people. Are we doing this with any of our friends or family who happen to carelessly honor the Lord on His holy day? If we are not, we may be compromising our “defense system” and allowing a virus to develop. Why? Because we are also committing transgression just as we allow those within our reach and care to do. So what is our point here? It is that the strongest defense in not obtaining a spiritual virus is to keep His Commandments. This is first and foremost. Let us not forget that we also show the Lord we “love” Him. So now that we know what helps us as a healthy line of defense, let us look at some specific symptoms of these viruses. 1) Repetitive breaking of the Sabbath. 2) Proclaiming false teachings and beliefs. Such as no Trinity exists, no Elijah prophet message needed, no need to strive with all power God has given us to be among the 144,000 (Review and herald, March 9, 1905), Elijah prophet is not to be the last, continual proclaiming of peace and safety message. No church judgment to come, only the next coming of Jesus in the clouds at end of plagues, etc. This again shows that first we must “do His will” THEN we shall know His true teachings. This is why some get tripped up in their walk, they fail to do “first things first” and falsely presume that the Lord allows then to “jump over the threshold”.Even though they may know quite a bit of the word of the Lord. The prime example of this was the Pharisees. Jesus admonished them, even though they knew all the Scriptures and professed to know God, He exposed them for not doing the basics. From another angle we see an excellent example of women “laden with sins”unable to learn properly. Although it mentions silly women, the concept applies to all sinners. Being unfaithful in returning His Tithes and offerings per Mal. 3:10. Thus not providing your funds so that He may have “food” in His house. The food being spiritual food as in His present truth for us right now–today. Supporting instead an old message that was present truth for generations past. This is perhaps the greatest virus of all. It paralysis the host. They are unable to get out of their “rich and increased with goods” attitude and therefore they fail to advance in the Lord’s light. “And unto the angel of the church of the Laodiceans write; These things saith the Amen, the faithful and true witness, the beginning of the creation of God; I know thy works, that thou art neither cold nor hot: I would thou wert cold or hot. So then because thou art lukewarm, and neither cold nor hot, I will spue thee out of my mouth. “The only hope for the Laodiceans is a clear view of their standing before God, a knowledge of the nature of their disease. They are neither cold nor hot; they occupy a neutral position, and at the same time flatter themselves that they are in need of nothing. The True Witness hates this lukewarmness. 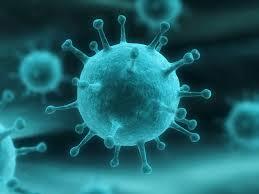 Obviously there are many more viruses that can lodge into our soul and those are just some primary ones. In closing, let us be mindful that we cannot fool God. We may very well fool others but the One that is watchful–we can’t. A “spiritual virus” can be avoided and even eradicated, if we humbly repent of our wrong doing and submit to Christ, keeping His Commandments as best we can daily. Free, even from a “spiritual virus”. This entry was posted on August 30, 2014 at 3:24 am and is filed under Commandments, Delusion, Proper teachings. You can follow any responses to this entry through the RSS 2.0 feed. You can leave a response, or trackback from your own site.